Bolingbrook is a large village in Will and DuPage counties in the state of Illinois. As of the 2010 US Census, the population is 73,366. It is the 17th largest incorporated city in Illinois. 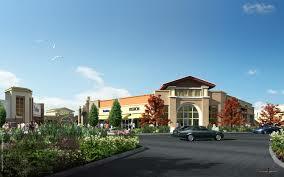 Bolingbrook is located approximately 28 miles southwest of Chicago. Bolingbrook borders the communities of Woodridge, Romeoville, Plainfield, and Naperville. I-55 or Stevenson Expressway runs through the southern part of the village heading northeast to Chicago and southwest to Plainfield and Joliet. Interstate 355, Veterans Memorial Tollway runs along the far east side of the village between New Lenox and Addison. Modern Bolingbrook has its roots in the housing boom of the 1950s. The village grew steadily for the remainder of the 1960s, reaching a population of 7,000 by 1970. The 1970s were the first period of rapid growth in Bolingbrook, during which its population quintupled to reach over 37,000 by 1980. The 1990s ushered in a second wave of strong growth to Bolingbrook, as Will and nearby Kendall counties once again became Chicago’s fastest growing region. This second growth wave continued until 2007, when the population peaked at over 75,000. The Bolingbrook Park District was created in 1970, after being approved by referendum. In 1974, the Park District built its first new building, the Deatherage-Drdak Center, constructed only with volunteer labor. In the following three decades the Bolingbrook Park District has grown to include numerous woodlands and parks, several community centers, the Pelican Harbor Indoor/Outdoor Aquatic Complex (recognized for its excellence by Chicago Magazine in April 2004), and the Bolingbrook Recreation and Aquatic Complex (BRAC). Most recently, the Bolingbrook Park District was one of the four finalists for the National Gold Medal Award for Excellence in Park Management, Facilities, and Programs. Bolingbrook is home to the Boughton Ridge Golf Course, a 9-hole course owned by the Bolingbrook Park District. In addition, the Bolingbrook Golf Club, a municipal facility which includes an 18-hole course, is located in the village. Other Golf Courses within proximity of Bolingbrook include Naperbrook GC, Tamarack GC, Wedgewood GC, and Links at Carillon (all in Plainfield), White Eagle GC and Springbrook GC in Naperville, , Carriage Greens GC and RCC in Darien, Cog Hill GC in Lemont, and Mistwood GC in Romeoville. Clow International Airport is a small airport off of Boughton-Weber with an estimated 3,362-foot runway. Clow is a public (non-commercial) airport, owned by the Village and operated under a contract with a management company. In 1989, the airport was named the “best privately owned, public use airport in Illinois.” Currently, there are 70,000 take-offs and landings at the airport annually.